Nata a Belluno nel 1972, si laurea in Architettura presso l’Istituto Universitario di Architettura di Venezia. Dal 2000 al 2004 è collaboratrice alla didattica presso il Dipartimento di Tecnologia dell’architettura presso lo IUAV. Dal 2001 è titolare dell’omonimo studio di architettura, con sede in Belluno. 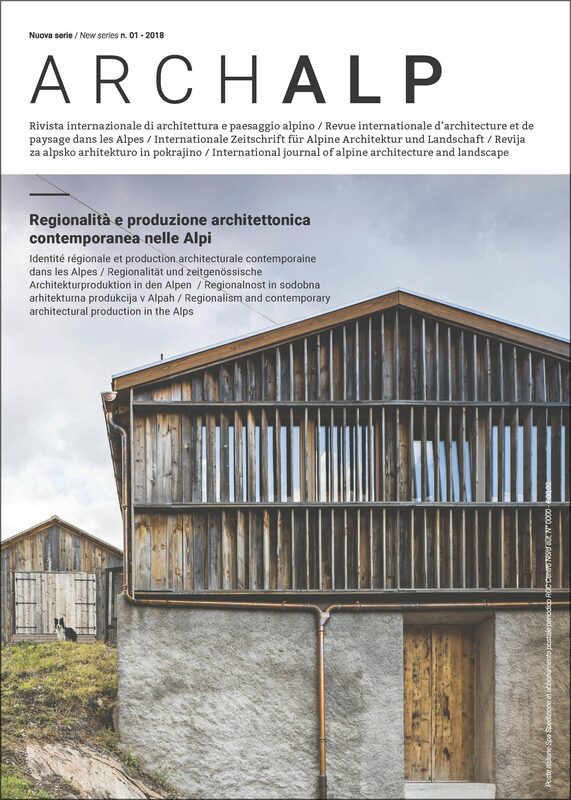 Dal 2010 al gennaio 2018 è Presidente della Fondazione Architettura Belluno Dolomiti e dal 2015 al 2017 direttrice dell’AlpHouse Centre della Regione Veneto sede di Belluno. Keywords: Dolomites, contemporary architecture, building culture, architecture prize, design competition, renovation. The Province of Belluno is home of great human and landscape quality and of the beautiful Dolomites, UNESCO World Heritage. How experiences of contemporary architecture fit and how are promoted in this context? It can be said that contemporary architecture does not attract a big audience. This is despite the constant efforts by various bodies and associations to promote its diffusion and development through competitions, conferences, workshops and case studies. In the Belluno region, apart from the extraordinary extant historical heritage, there are widespread examples of new architecture known as “false alpine models” or architecture that has erroneously become typical of the Province’s image. This is the reason why this new architecture with its range of peculiarities is widely reiterated, from north to south of the area. Even though buildings of this type lack any real ties with history or tradition, they find widespread approval by institutions and commissions. They are the result of repetitive practices deriving from constraints imposed by local regulations and a limited aptitude in the use of contemporary language of architecture. Even if the barometer of the vitality of contemporary architecture in the region of Belluno is rather lukewarm, dampened by cultural resistance and by regulatory constraints affecting its growth and diffusion, there is no lack of experiences, initiatives and achievements. The latter is evidence of the fact that where research and the use of contemporary languages are accompanied by the opinions of enlightened patrons, good architecture is born, which find space in the arena of national and international architectural debate. Examples of good architecture, even though limited in number, are distributed across the Province and constitute heritage and the focus for promoting and consolidating the growth and dissemination of contemporary architecture throughout the area.